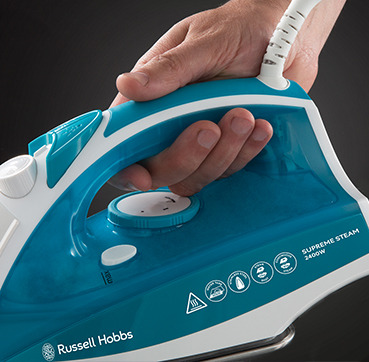 Whether you enjoy ironing or hate it, you'll love the fresh pressed results from the supreme steam iron form Russell Hobbs. With a stainless steel soleplate which will glide through the toughest creases to leave your garments wrinkle free. Other handy features include a 300ml transparent water tank so you can see at a glance when it needs topping up. With the Russell Hobbs 23061 steam iron you get 40g/min continuous shot of steam to tackle cotton clothing, with a powerful 110g burst of steam to get grips with tougher creases and heavier fabrics. 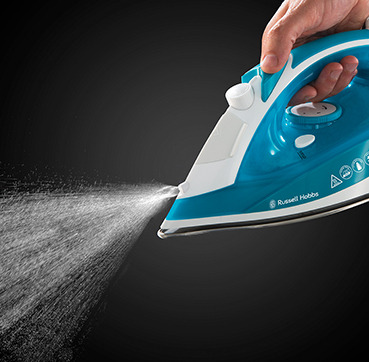 A soft touch handle and dial make ironing more comfortable for the user, while the vertical steam function is ideal for getting the wrinkles out of hanging garments, curtains and upholstery.